The Radio Craftsman TV receivers are high quality sets and have chrome plated chassis. The purchaser of these sets could select the size of the picture tube, the normal options were 16" & 19" round and 21" rectangular, this set uses a 24" round CRT, which gives a 16" x 22", 350 square inch viewing area. 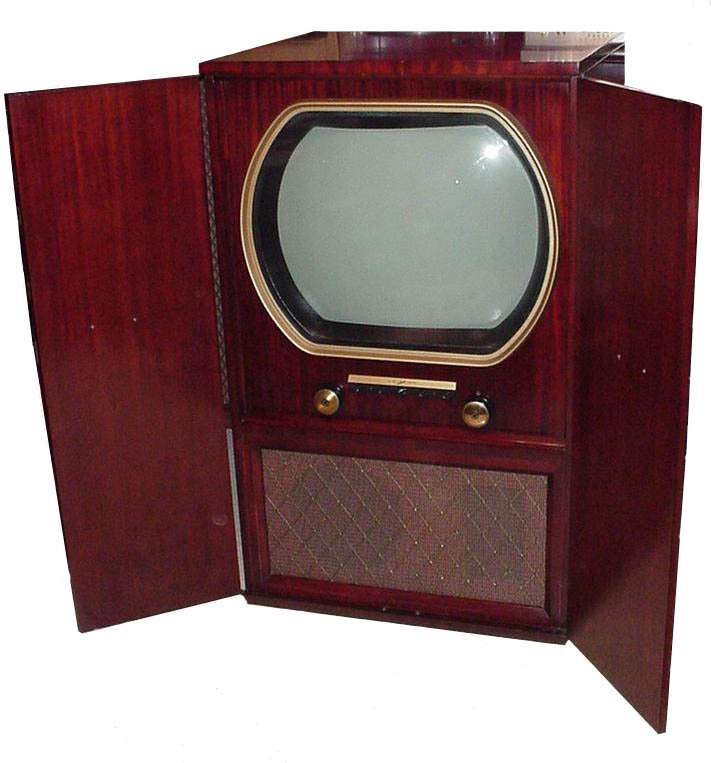 In a 1952 Resco catalog the 24" picture tube option added an additional $43 to the cost of the bare TV chassis ($240). The CRT is 8" wider than the TV chassis itself. The tuner has combination detent and variable tuning, this allows the set to tune the FM band. Another feature of these sets is the use of an eye tube for tuning. 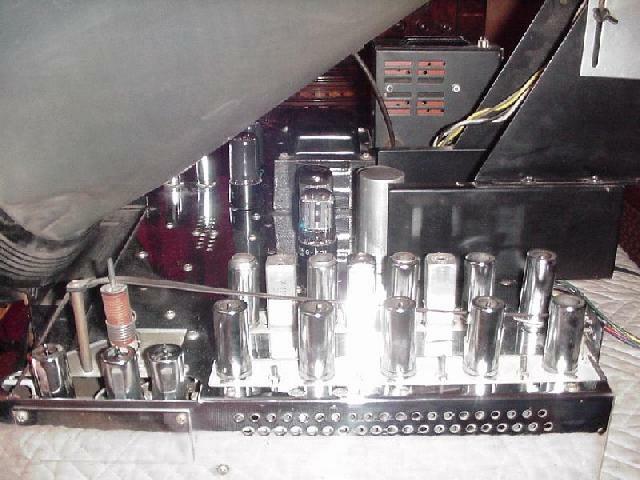 This chassis is marked as a model RC-200 but has the tube lineup of the model RC-201, it may have been modified to support the 24AP4 CRT which wasn't a normal option on the RC-200 chassis. 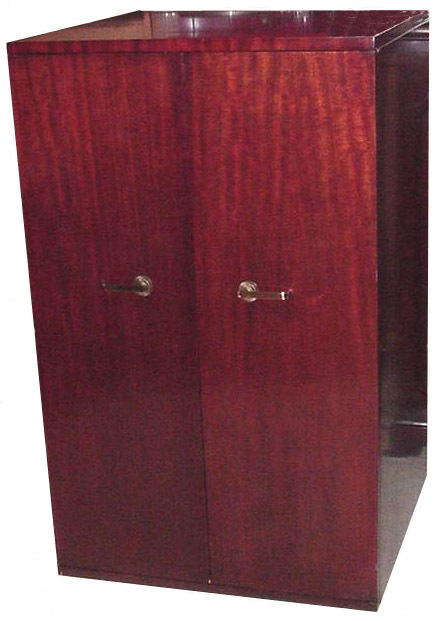 The Craftsman sets were meant to be placed in a custom installation or the owner could purchase a custom cabinet. This set is installed in a huge custom cabinet, it is 30" W x 28" D x 49" H. The chassis which isn't small seems lost in this cabinet. 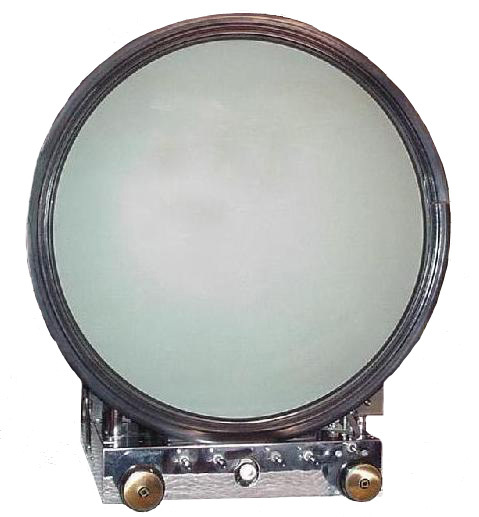 The picture tube is a 24AP4. As this tube was not one of the regular options an additional bracket was fabricated to support the neck of the CRT. The audio section uses a pair of push-pull 6W6's delivering about 5 watts at 2% distortion to drive a 12" speaker in the bottom enclosure of the cabinet or you can use the high impedance output to connect to an external amplifier.